In addition to the lighthouses and lobster that draw people to Midcoast Maine, there are miles and miles of hiking trails with wonderful scenic vistas that many venture here to explore. 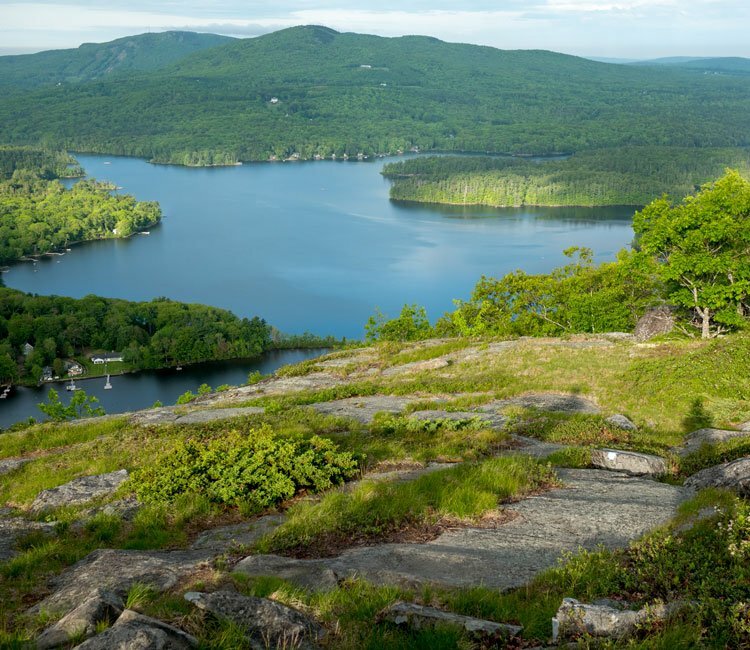 Camden Hills State Park, the local land trust, nearby islands andTown owned parcels are must-visit attractions in Camden Maine. Camden Hills State Park has 30 miles of hiking trails with access from five major trailheads. While the easy access Auto Road is one of the most frequented tourist attractions in Maine, surprisingly the other less accessible hiking trails compared to Acadia National Park, can feel downright tranquil in terms of traffic. The local land trust andTown owned parcels have trails that reflect the adventurous spirit of the locals. There are cross-country and downhill ski trails, dirt bike trails, rock climbing and beautiful meandering trails along the local harbors. The island trails are for those that want to experience the mountains and the sea. Curtis Island and Monhegan Island are unique hiking trips that can only be accessed from a boat. Camden Hills State Park is a low set of mountains in the towns of Camden, Rockport, and Lincolnville. There are incredible views of Penobscot Bay and the Atlantic Ocean. Skiing and snowmobiling trails also exist in the park. The view is fantastic and we think it rivals any Acadia National Park view. There is a trail for everyone, easy, difficult or moderate. You can even rock climb if you wish. There are rock climbing guides in the area. Trail maps are always available at the Inn. For those that prefer to drive up the mountain, there is a fantastic stone lookout tower at the top of Mt. Battie in Camden Hills State Park. A rock with Edna St. Vincent Millay's poetry can be found at the foot of the tower. Multi-Use Trail: Distance: 5 Miles, Time: 3hrs. Easy difficulty - takes you from Camden to Lincolnville. In addition to the lobster and lighthouses, blueberries are a staple of Maine life. The Coastal Mountain Land Trust preserves rolling blueberry fields, historic stone structures and scenic forests that face the ocean. 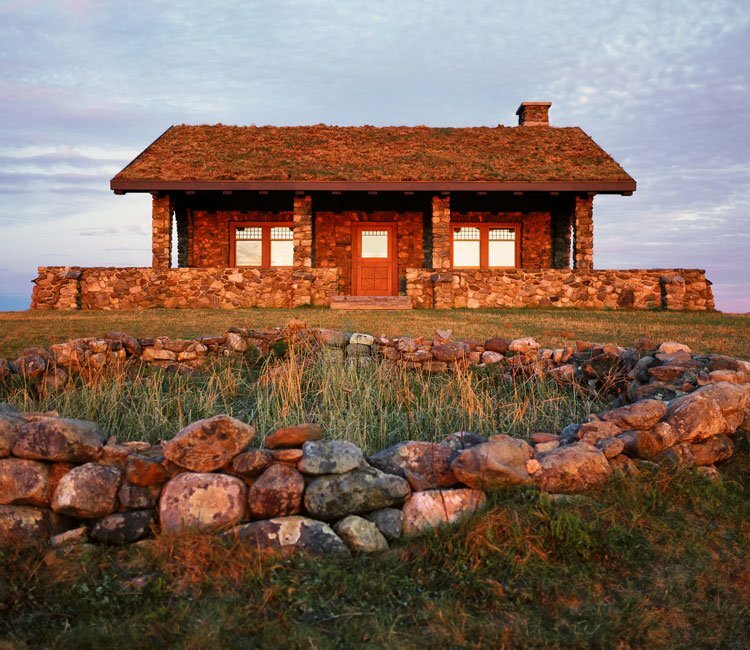 The Beech Hill Trail, located in Rockport, is an easy short hike that winds around active blueberry fields and culminates at the top with a historic stone tea house. From late July to early September the hill is producing little Maine blueberries. The blueberries are sold at the base of the hill in the parking lot and proceeds go to preserving this local gem. In the winter, Ragged Mountain is enjoyed as the local ski area. In the spring, summer, and fall, mountain biking is abundant. There is an extensive network of rugged bike trails through Ragged Mountain. Most are challenging and semi-technical, but there are easier trails at the base of the mountain. If mountain biking is too strenuous, there are more gentle biking trails through the nearby Town of Rockport. 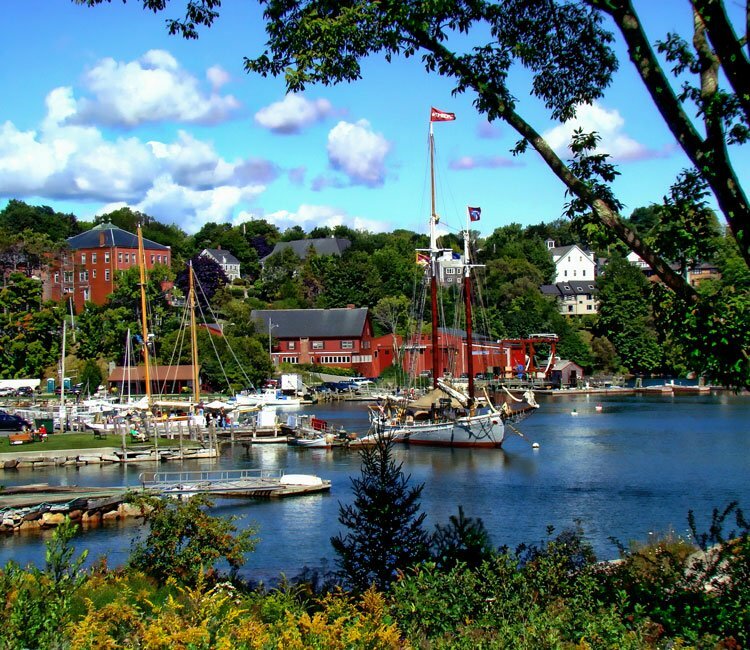 The biking trail in Rockport entangles itself with the famous Yankee Magazine “Most Beautiful Walk in the World” route that many visitors to Midcoast Maine seek out. Views of harbors, historic homes and belted Galloway cows line this route and make it a unique Maine experience. The locals of Midcoast Maine do not limit themselves to the Mainland. The Coast of Maine is dotted with tiny islands that are accessible by boat or kayak. The entrance of Camden Harbor is marked by Curtis Island. In addition to being home to the Curtis Island Lighthouse, it has a scenic loop trail that has strategically placed park benches along the route. The views and tranquility on this island are remarkable. If you are comfortable ocean kayaking, you can kayak out to the island, dock there, go for a swim, walk around the island and enjoy a picnic lunch near the tree swing at the center. Once you are there, you will understand why it is a popular place for wedding proposals. In fact, the popular American T.V. sitcom, “How I Met Your Mother” enacted the romantic proposal scene of the mother and father at the top of Curtis Island Light House. A little bit further out in the ocean than Curtis Island is Monhegan Island. You cannot kayak to Monhegan Island, but need to take a boat from the quaint little town of Port Clyde. Enjoy a scenic 10-mile ride on a local workboat out to the island. Once on Monhegan Island, you can start your day of hiking. No cars are allowed on the island. Monhegan is the summer home to many artists and also to a small batch beer company, Monhegan Brewing. At the end of your day of hiking, enjoy a craft beer at this taproom on the water. Captain Swift Inn will welcome you back after your day of outdoor adventure. Enjoy your comfortable room or relax in one of our many common areas. The deck and courtyard are fantastic places to wind down, reflect on the day’s adventure and enjoy a cocktail.